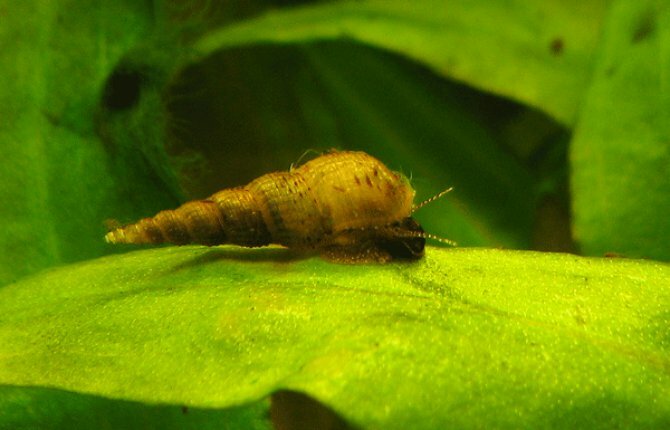 How many fishkeepers are plagued by a growing nuisance snail problem - and how many are unaware of just how these creatures got there in the first place? Jeremy Gay sheds light on the subject. Nuisance snails can become a real problem as they breed rapidly and thrive on uneaten fish food, plants and algae. They even eat dead fish. Their size means that, however hard you try, you never seem to eradicate them all — and they always come back in force! The number one source of snail introduction is on aquarium plants. Everyone tries to prevent this happening — from growers, to retailers, to you — but some snails always get through our security and go on to infest our tanks. They capitalise on the abundance of cover and food provided by farmed aquatic plants and, like any live thing cultivated in high numbers, plants can come with their share of hitchhikers. Other sources may include wet nets, gravel, décor or plants transferred from one tank to another, or even a mature filter. If your retailer accidentally scoops up some gravel grains with your newly-purchased fish they could contain snails, or their eggs. Taking plants from ponds or natural waterways (don’t do it!) can introduce snails, but also leeches, dragonfly larvae and Hydra. The Malayan trumpet snail (Melanoides tuburculata) is a hardy creature welcomed by some but loathed by others. Its main advantage is that it is a burrowing snail that passes through the substrate and turns over the grains of gravel, aerating it as it goes. It can reproduce at tremendous speed, being a livebearer, and loves eating fish flakes that fall to the bottom. In fact, to see the scale of your snail problem at its worst, feed your fish quite generously and all the Malayan snails will appear within minutes of the flake hitting the surface. These snails keep themselves to themselves and are only a problem if you overfeed, as they will overrun your tank. A few specimens in the gravel may be beneficial and they are plant safe by all accounts, but an excess of food will cause a population explosion and numbers may reach into the hundreds or thousands in a large tank. The problem then is that they will contribute to the bio-load of the tank and have an equivalent mass of a large shoal of fish. They will defecate frequently and consume vital oxygen. Physa marmorata are sometimes referred to as pond snails, but they are smaller and more tropical tolerant than the Ramshorn and stagnalis that we keep in ponds in the UK. These are most commonly introduced on aquatic plants and lay eggs in a small gelatinous mass. These are most commonly spotted on the glass, but could be anywhere from plant leaves to inside the filter canister. Fish ignore the eggs and if you eradicate all the adults but miss a cluster of eggs the problem will start all over again. Like Malayan snails, Physa are OK in small numbers but can be a real problem if numbers reach into the hundreds. Looking similar to the average grain of pea gravel, they aren’t that easy to spot on the substrate. Snails get absolutely everywhere within a closed system and filters provide ideal homes as they are full of snail food and are safe from fish. If large numbers of snails build up they can jam the impeller and block inlets, and shut off taps and outlets on external filters. If you do kill a large amount by snail treatment, or crush them and leave them in the tank, they will cause ammonia. Always remove them from the system to prevent this happening. Mass removal is one of the most drastic methods of control, but it is a quick fix. The easiest form of mass removal, especially with the Malayan snail, is to remove all the gravel from the tank. Either use a net to scoop out the gravel or a syphon, and take off all the substrate, plus any snails you see on the glass. Leave the filter untouched, as this process will remove beneficial bacteria as well as snails. In severe cases, leave the bottom bare for about a week so you can pick out any left over. Snails can also be picked off the front glass as and when you spot them. A week or so of removing ten a day should control the problem. Treatments should be used with caution — and they don’t always work. Some just cause the snails to fall off the glass for collection, while others are harsh enough to also kill shrimp. Snail death can be guaranteed by using copper as, being invertebrates, they are copper sensitive. However, shrimp and ornamental snails will be killed too — and some fish and plants are also sensitive to being dosed with copper. Try other methods first. Consider natural control. Lots of fish eat snails, from loaches, to some catfish, to some cichlids. Convicts are particularly good predators of Physa, as are Koi and large goldfish. Puffers are the most adapted to eat snails but cannot be mixed with other fish. Paradise fish are great too, but can be pugnacious towards small community fish. There is even a snail-eating snail called Anentome helena (pictured above) that could be worth a try. Snail traps are manufactured by companies like Sera and JBL — or you can just use a lettuce leaf and remove them each time you find them there. The traps are a safe, effective and humane form of control and work by harbouring food inside a box with doors that only open inwards. Snails push through the doors on the scent trail but cannot leave. This article was first published in the August 2008 issue of Practical Fishkeeping magazine. It may not be reproduced without written permission.